While every region in Italy has its own special cuisine, making the most of their local produce, Puglia’s is especially delicious, and after our various villa holidays in Italy, it is definitely close to our heart. Its cuisine tends to be simple but bursting with flavour, letting the fresh, local produce do the talking. Staples of the Puglian diet include fantastic ingredients such as tomatoes, chickpeas, home-grown herbs and spices and fresh seafood, with more of an emphasis on vegetables than many other Italian cuisines. 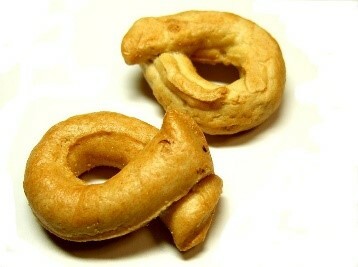 The Italian version of the pretzel, the taralli is a small, circular, crunchy snack perfect with a glass of Puglian wine. They come in both sweet and savoury forms, including taralli flavoured with fennel, poppy seeds, or white wine and sugar. 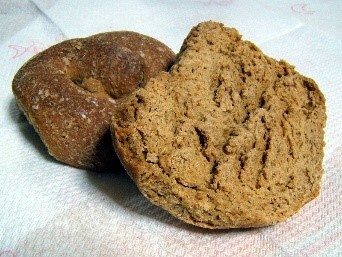 One of Puglia’s traditional on the go snacks, you’ll often be able to pick these up from street vendors. A puccia is a delicious sandwich made from pizza dough, stuffed with meat, cheese and vegetables. Famous for its ear-shaped form, orecchiette actually translates to “small ears” from Italian, and is a perfect shape for soaking up a delicious sauce. 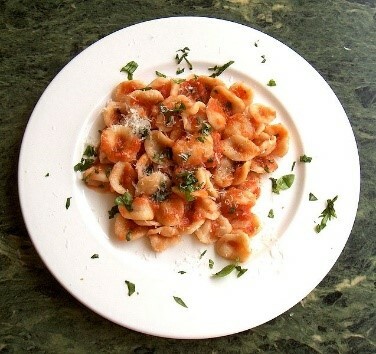 Orecchiette are traditionally served with broccoli rabe and garlic, or ricotta cheese and fresh tomatoes. Another perfect on-the-go snack, whether you’re wandering the streets or relaxing on a beach, pizzette are simple miniature pizzas, often garnished with fresh cherry tomatoes. One of the most famous bread varieties to originate from Puglia, frisella is a crunchy and dry bread baked in a stone oven, and has been a local favourite for centuries due to the fact that they could be stored for many months. For a softer consistency, it tastes just as good after being dipped in water. Italy is famous for its wonderful sweet pastries, and the pasticciotto is no exception. Beneath its flaky crust lies the tasty surprise of creamy custard, enhanced even further by the taste of sweet black cherries.